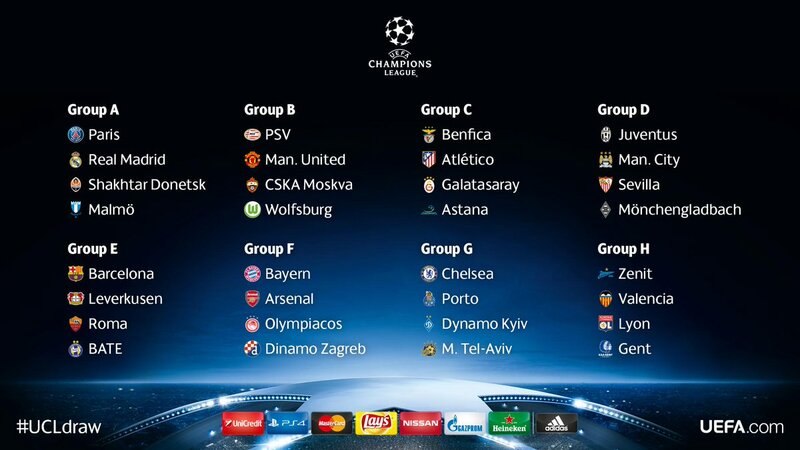 @ALiefNK | www.ALiefNK.com - Berikut hasil lengkap pengundian fase grup UEFA Champions League (UCL) 2015/16. Paris Saint-Germain FC, Real Madrid CF, FC Shakhtar Donetsk, Malmö FF. PSV Eindhoven, Manchester United FC, CSKA Moskva, VfL Wolfsburg. Benfica, Atlético Madrid, Galatasaray SK, FK Astana. 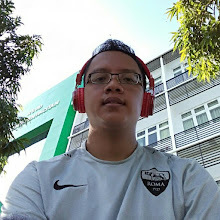 Juventus FC, Manchester City FC, Sevilla FC, Borussia Mönchengladbach. FC Barcelona, Bayer 04 Leverkusen, AS Roma, FC BATE Borisov. FC Bayern München, Arsenal FC, Olympiacos Piraeus, Dinamo Zagreb. Chelsea FC, FC Porto, FC Dynamo Kyiv, Maccabi Tel-Aviv FC. FK Zenit Saint Petersburg, Valencia CF, Olympique Lyonnais, KAA Gent.